The placement of students at Brentwood Secondary College is consistent with Department of Education and Early Childhood Development policy, the principles of which are to ensure students have access to neighbourhood schools and the freedom to choose other schools subject to the facility limitations of that school. In most instances the designated neighbourhood school is defined as the school that is nearest to a student’s permanent residential address (straight line distance). Where there are insufficient places at a school for all students who seek entry students should be enrolled in the following priority criteria unless determined otherwise by the Regional Director. If you wish to enrol your child at Brentwood (seperate from Year 6 to Year 7 transition) please contact the school on 8545 0300 to organise an appointment time with one of our enrolling officers. 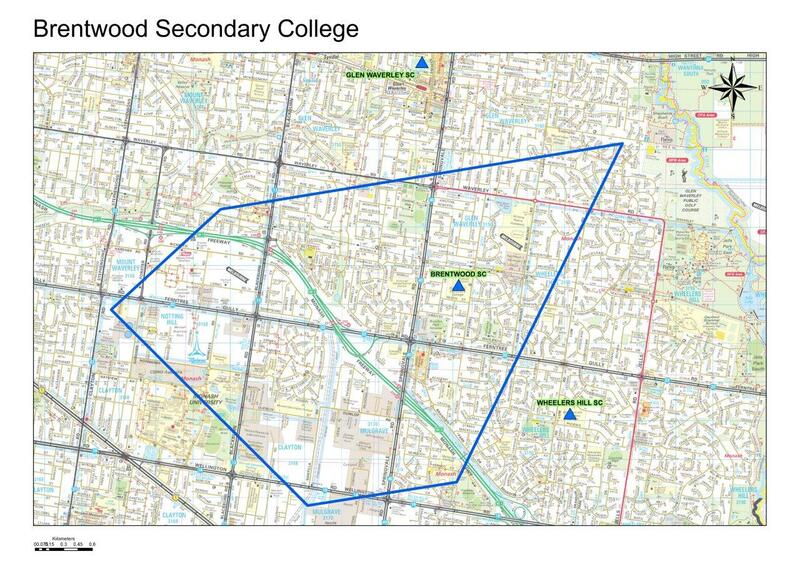 Brentwood Secondary College's boundary can be seen outlined on the following map (click map to enlarge).